Free Preschool Open Houses and Expos – Oakland County. Many Oakland County communities host FREE preschool expos and open houses to showcase area preschools and childcare providers. If you’re considering childcare, FREE preschool open houses and expos can be the perfect way to find the best day care, preschool or childcare option for your child. Many even welcome children to the event so parents can get a better idea of how the kids will interact with potential childcare providers. DISCLAIMER – This free preschool expos page is difficult to research and participation among the communities to provide info for me has been spotty. The ones listed below are the ones that send me their info for me to post. If you would like to send your communities or preschool’s info for your open house, please submit info using this handy form to receive consideration for this page. Like our Mom 2 Mom Sale Page, I will list these events for FREE. Stop by to meet the teachers and Director Michele Hodge. Learn more about the great summer camps provided by this child-centered preschool and child care program. This is a FREE event. For more info, 248-683-8759. Grand Opening and open house. For more info, or to schedule a tour, call 248-893-7432. Come tour our new state-of-the-art school, meet our Program Director and teachers and learn more about our programs and curriculum. Enjoy local community vendors, giveaways, refreshments and fun! Gilden Woods is now enrolling, call their Corporate Office at 616-226-8716 to learn more or visit Gildenwoods.com. Come to the White Lake Township Public Library Preschool Open House and find out what local preschools have to offer you and your child. No registration required. Preschools who would like an opportunity to showcase their facility must call the library by January 22 to reserve a table. Staff from local preschools will be here to answer questions so you find the best fit for you and your child. Health care professionals will also be on hand to answer question about your child’s health and safety. Engage with your child in literacy development while stopping by one of the many STEAM stations set up, getting an airbrush tattoo. No registration required. Meet representatives from over 25 area preschools and child care providers at the 18th annual Preschool and Child Care Information Night. The 2019 Royal Oak Area Preschool and Child Care Directory will debut at this event. Come and gather information about area child care and preschool options at this annual event. This event is held by The Royal Oak Public Library. For more info, contact 248-246-3700 or 248-246-3731. – RESCHEDULED TO 2/4/19 DUE TO WEATHER. Indoor winter fun includes a bounce house, face painting, crafts, cookies, and an invitation to learn about Montessori Preschool Program. This is a FREE event. Rainbow Preschool Open House 2019 Preschool Expo. This event is free to attend. For more info, call 248-524-1546. Meet representatives from over 25 area preschools and child care providers at the 18th annual Preschool and Child Care Information Night. The 2019 Royal Oak Area Preschool and Child Care Directory will debut at this event. Come and gather information about area child care and preschool options at this annual event. This event is held by The Royal Oak Public Library. For more info, contact 248-246-3700 or 248-246-3731. – RESCHEDULED from 1/28/19 DUE TO WEATHER. Parents are invited to drop in and visit with representatives of local preschools and day care centers who will bring information about their programs and will be on hand to answer your questions. Contact 248-650-7146 for more info. Meet Lake Orion and Oxford area providers, ask questions, and gather information at this special open house. Receive a checklist with tips on what to look for in preschool or childcare, along with information on the programs that each facility has scheduled throughout the year. Drawings for raffle prizes will be ongoing throughout the event. 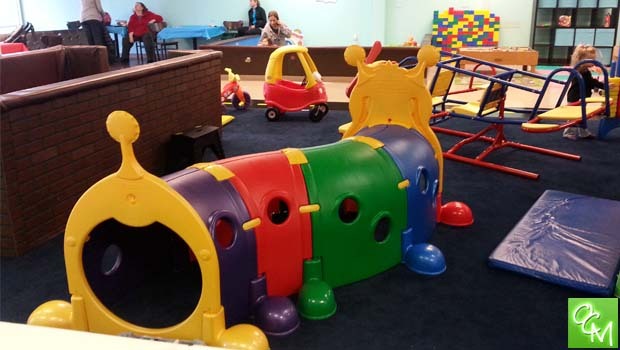 Milford and Huron Valley area preschool providers will be on hand to highlight what their facilities have to offer parents and their preschoolers. If you are a parent or guardian getting ready to send your child off to preschool, you will not want to miss this opportunity. No registration required. Drop in Anytime. Talk with teachers, tour the school, enjoy ice cream. Visit this year’s classroom and look into next year’s classrooms. For Grades Young 5 & K-3. Gilden Woods Early Care and Preschool will be offering tours of our new state-of-the-art school, meet their Program Director and learn more about their curriculum and programming. Gilden Woods Early Care and Preschool will also be hosting community vendors for family friendly fun. Refreshments will be available. Gilden Woods Early Care and Preschool are Now Enrolling. Contact our Corporate Office at 616-226-8716 for more information. This preschool open houses and expos page is intended to be used as a guide. Oakland County Moms does not endorse these events. Oakland County Moms is not responsible for changes to event descriptions, event times or details being altered without notice or cancellations. Contact lisa@oaklandcountymoms.com if you have free preschool open houses and expos that should be listed on this page.